All across North America, we’ve seen temperatures reach and stay near 100 degrees Fahrenheit for long, brutal stretches. Thankfully, installing even a small household air conditioner can keep an entire home cool and a family comfortable. HVAC services are essential in just about every community in the world, especially during these brutal heat waves. Unfortunately, the record-breaking heat wave has lead to some massive problems north of the border. According to The Globe and Mail, the recent heat wave has lead to 54 fatalities in Quebec alone, most of them elderly men and women. Quebec public health officials are attempting to find solutions to prevent similar deaths in the future. “Despite what we put in place in the last four, five days, some of the most vulnerable people are not being reached, and that is the central focus of the work we have to do,” said David Kaiser, a physician with Montreal’s health department. The majority of these fatalities could be attributed to not having having sufficient air conditioners. Only 53% of households in Quebec have air conditioning, compared to 84% of all homes in the United States, which actually accounts for more air conditioning usage than all other nations combined. “Those who live on low incomes — those who don’t have access to air conditioning, pools, or cool spaces — are most vulnerable particular when a heat wave is prolonged,” added Jean Zigby, a Montreal physician and former president of the Canadian Association of Physicians for the Environment. Of course, here in Florida, we’re used to heat and humidity in a way that most Canadians aren’t. Unfortunately, this same heat wave has caused similar problems around the United States and the world at large. In short, it’s been a brutal summer, and it’s just getting started. HVAC services aren’t just for convenience purposes, they can actually help save lives. Finding air conditioner repair services should be at the top of every homeowner and business owner’s priority list. AccuWeather adds that since the U.S. was impacted by the terrible heat wave, there will be cooling stations setup across the East Coast for emergencies. No matter where you are residing, make sure to stay in touch with professional air conditioning services and other HVAC services at all times in order to avoid serious heat-related issues. 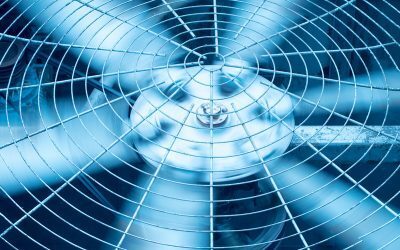 If you’re hoping to better handle this brutal heat wave in Florida and want to work with experienced air conditioning repair services, give Complete Pro Air a call right away.